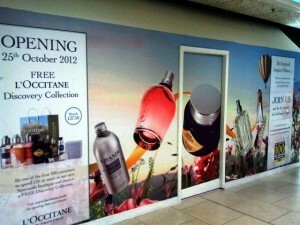 L’Occitane en Provence, the high-end beauty products retailer, will open its Newcastle store on 25 October. 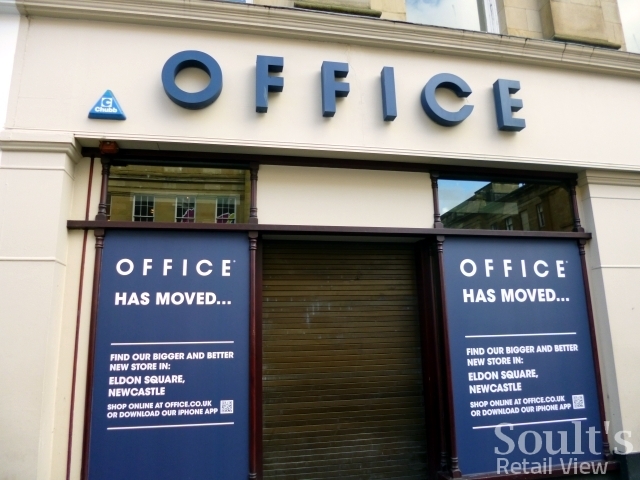 When news of the new Eldon Square store was revealed last month, it was expected to open in September – indeed, that’s what L’Occitane’s UK website is still reporting. However, colourful hoardings around the ex-Rebel Rebel unit in Douglas Way are now plugging the 25 October launch and the “Free L’Occitane Discovery Collection” that the first 100 customers spending £25 or more will receive. Meanwhile, the footwear chain Office has opened its new store in Eldon Square this week, taking the ex-Barratts and Clintons spot around the corner in Blackettbridge. As I reported last month, this paves the way for Cath Kidston – the lifestyle retailer famous for its colourful prints and patterns – to open in the former Office site in Grainger Street, probably in time for Christmas given that the company’s jobs site is still referring to opening “this year”. 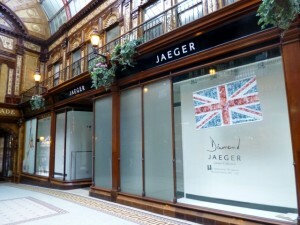 Not far away, there’s also good news for the former Jaeger unit that I mentioned last month. 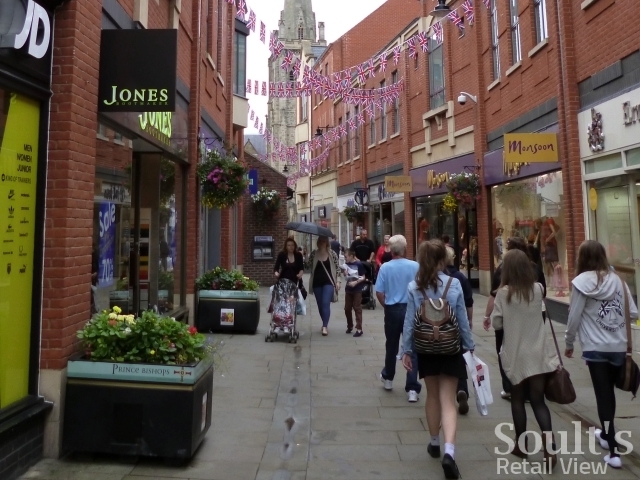 This spot, which has frontages to both Grainger Street and Central Arcade (like the ex-Office), is to be occupied by the long-established footwear retailer Jones Bootmaker, following on from its opening of a store in Durham’s Prince Bishops last year. 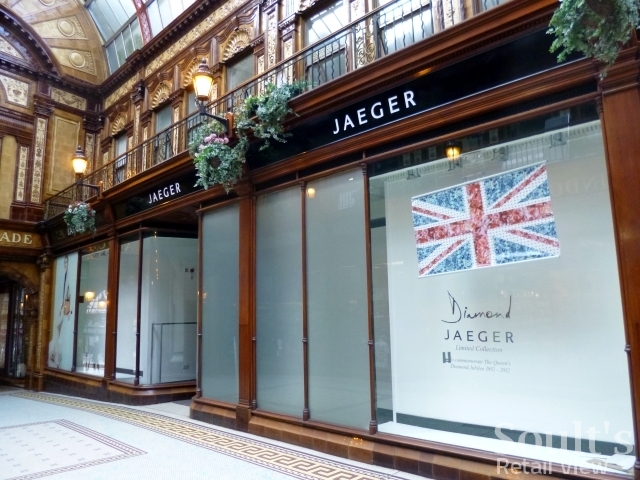 While the arrival of Cath Kidston and Jones Bootmaker is great news for Grainger Street – and reinforces the upmarket quarter that seems to be growing up around Grey’s Monument – there’s a sense that the adjacent Central Arcade is yet to fully reap the benefits. Though Central Arcade has one of Newcastle city centre’s most stunning interiors – comparable to the ornate shopping arcades that you find in London or Leeds – many of its recent retail occupants have turned their back on it, forcing shoppers to access their stores via the street frontage instead. The trouble is, this reduces the arcade to a beautiful yet lifeless short-cut linking Grey, Grainger and Market Streets, rather than the unique destination that it has the potential to be. 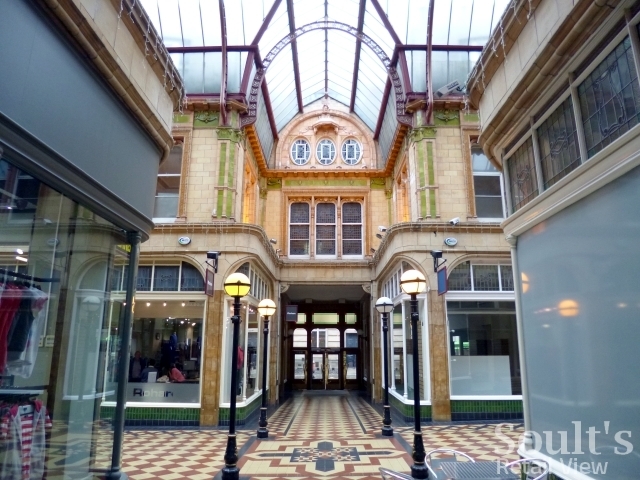 The danger is that it will end up like the lovely but deserted Miller Arcade that I visited in Preston earlier this year: rather larger in scale than the Central Arcade, but seemingly facing similar challenges of a lack of lively frontages leading to declining footfall and closed stores and, in turn, even less incentive for the remaining retailers to engage with the arcade. 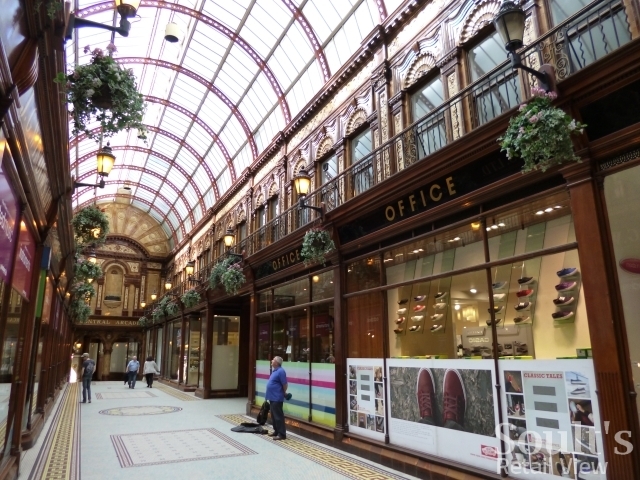 Ultimately, I think there’s plenty of scope to market Central Arcade more effectively as a destination, given that there’s really nothing else like it in the North East. For now, however, I’m hopeful that retailers as creative and individual as Cath Kidston and Jones Bootmaker will see the arcade as something to be celebrated and cherished, rather than as an inconvenience. 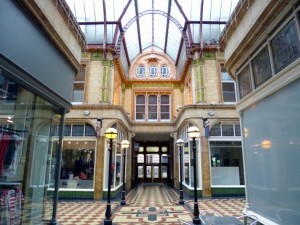 The central arcade looks wonderful, your right just like some of the central London arcades.